SALT LAKE CITY — July 25, 2016 — Utah Scientific’s UTAH-100/XFD fiber-distribution frame with Norwia fiber-transport technology played a starring role in WDRB-TV FOX 41’s all-HD live coverage of the 2016 “Thunder Over Louisville” event in Louisville, Kentucky. Over a single bidirectional fiber, the UTAH-100/XFD supplied key content elements and the main program feed for WDRB’s sprawling 22-camera coverage of Thunder Over Louisville, an air show and fireworks extravaganza that marked the official opening of the Kentucky Derby season on April 22. “For 28 years, Thunder Over Louisville has been delighting our citizens with an explosive kickoff for the biggest annual celebration in our region. 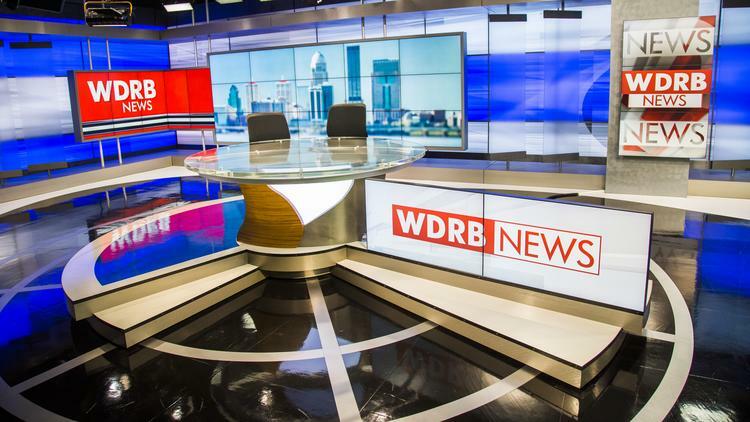 WDRB’s coverage of the 2007 show marked the event’s first-ever all-HD broadcast,” said Gary Schroder, chief engineer, WDRB-TV. “When we were chosen for the broadcast again this year, we decided to up the ante on our coverage — going from 12 strategic camera locations to a record-breaking 22. Working with F&F Productions, WDRB-TV established fixed shooting locations on both sides of the Ohio River. In addition, the production included a drone-mounted camera for bird’s-eye-view live footage (marking the first time the FAA approved flying a drone during an air show), a roving HD camera among the spectators, and a camera mounted atop the 300-foot-tall Humana Corporation skyscraper for footage of the F16 fighters in the air show. In another first for the event, WDRB-TV also deployed Live-U cellular bonding transmitters at two local airports, enabling producers to cut in exciting live footage from GoPro cameras mounted in the cockpits of the aircraft participating in the air show. The stream of the entire Thunder Over Louisville show traveled through Utah Scientific equipment. The UTAH-100/XFD enabled a seamless fiber link between the production truck, located at ground zero for the fireworks, and the WDRB-TV studio about three miles away. All over one single-mode fiber, the on-site production team was able to cut in a wealth of extra show elements, including weather graphics, traffic updates, and the two Live-U feeds from the airports. As a bonus, the UTAH-100/XFD provided an Ethernet connection to the truck, giving the production team access to any content on the WDRB network. Using the same bidirectional fiber, the UTAH-100/XFD carried the program feed back to a UTAH-400 Series 2 router in the studio, where it was routed to a Utah Scientific MC-400 digital master control processor for playout to air. WDRB-TV also used one of its three Utah Scientific GS-4000 graphics systems to generate time/temperature and station IDs for the live broadcast. Photo Caption: Utah Scientific’s UTAH-100/XFD was used for WDRB-TV FOX 41’s all-HD live coverage of the 2016 “Thunder Over Louisville” event.